Recently I came across a book named Page 6 And Beyond: Let’s stir the pot… by Hureen Gandhi, a debutante author. She approached with the book and shared a copy of the book in exchange of unbiased book review. What intrigued me is the title of the book and then the blurb of the same. From whatever information was available, the book seems to be a humorous take on our day to day lives where WhatsApp is weaved as an integral part of the story. And after reading the book all I can say is, the assumption is correct :). Fortunately, from our team, I got a chance to read this book and here are my personal views and reviews for the same. I must say that the cover page is really attractive. The subject of the book is quite different than what we come across in most of the cases, and thus, it is quite tough to design/choose a cover page of such a book. The design team with author’s input did a remarkable job in making the cover page for sure. The use of green to white background with the book title written in cheerful colors where a part of title’s fonts reminds you of Indianness goes pretty will at the reader’s eye. I do believe in not judging a book by its cover, but we cannot ignore the influence of book cover in purchase/reading decisions. In that context, the cover page of the book deserves appreciation. Usually, we separate book plot and reviews in two different segments. 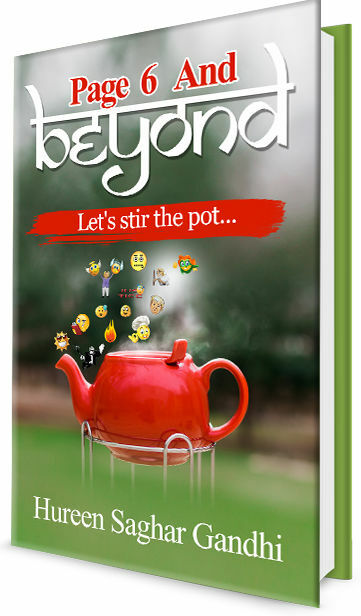 Page 6 And Beyond: Let’s stir the pot… is a little different book so we’ve decided to weave both the segments into one :). If you have a really good story to tell, but if the language doesn’t go in sync with the mood of the story or with the target readers/audience, the story will fail to create impact. You will love the way the author has explored various incidents including those with her “Padosan”. Especially the love of Padosan to cook biryani and overwhelmingly providing the same (often forcefully) to the author’s house will irk smile on your face. And, you will remember similar kind of person you might come in touch with. Especially those who are living abroad can relate to more. The way she takes care of the author’s children is something to fall for. The way the childhood of the author’s kids is explored makes the book more interesting. Again the parents of young kids will relate to the incidents quite well. The election campaign and results for US president walks hand in hand through many chapters and the references (satirical and genuine both) to both the candidates and the people’s expectations form them is explored quite well too. So the book is not just a humorous take on some personal aspects of the life, but, it allows the author to put her point about various current happenings also, quite well. Also, it is amazing to know that in some of the countries of the world doesn’t have old age homes in a way we usually expect. The absence of poverty is what we want in around the world right? The book also explores the life lessons to remember. Loving, trusting and standing with each other unconditionally is the essence of any relationship and the book represents this fact (of course, not in explicit words). Let me share some pieces of writing form the book itself so you can get a better idea about what to expect from it. The author’s love for reading and movies (both Bollywood and Hollywood) is evident throughout the book. Here is a phrase where she represents it quite interestingly. I am sure you will like the analogy. M, mission accepted and the tiger is on the prowl. Will try and get the lamb to safety but wings do wither when you shake the chicken. I also like the way the author came with the word “SwayamBahi” on the verge of the tradition of “Swayamvar”! You will surely enjoy the way the relationship is established during childhood and remain even stronger throughout life. I like the way the innocent days in the unpolluted (by all means) town are explored by the author. A part of it reminded me of Hindi TV Serial – Malgudi Days. However, you may wish that some sentences could be better formed in terms of grammar. The more older folks, the more time you were required to spend in that house, out of respect for the elderly folks who felt obligated to impart their hard earned wisdom to us. Like many other (especially Indian) authors, Hureen also couldn’t restrict herself from using “anyways”. The author’s way of explaining the power of gossiping will plant a smile on your face for sure. The author misspelled the movie title “Raees” to “Raes” and that is not for once. Some satirical stuff in the book works well. He has requested that she send Good morning messages twice in a day one being the time zone he lives. He is a doctor and never lets anybody forget that in his real or digital life. The author adds wisdom lines from famous figures in the book. Highway to hell is better than being a Hypocrite. The following line contains a punch that requires a little more attention to understand it. Earthworms are our underground heroes. If they suffer, our soil and food supply will too. 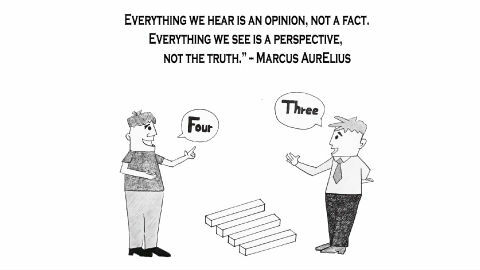 Here is a fantastic line which explores the reality in quite an interesting way. You need to read the book to understand its context. You can find an illustration for the same incident in the book trailer as well. Never underestimate the power of a baby, she can not only rule your life but also possesses the capacity to bend the rules of the Indian embassy. The author doesn’t skip a chance to talk about the requirement of genuineness and especially acknowledging the contribution of the partner in a relationship. This line is simple, but I found it impactful. Mohan praised Rania who stood by him in all the testing times and created a positive environment in their home. The use of word “introverted” could have been replaced with “introvert” in the following sentence. And, here is a line which all the parents can relate to. As a parent, one is in constant need to choose to pick one’s battles. Each chapter has a nice caricature at the beginning of each chapter and all they are interesting and goes in sync with the same. The illustrator requires a special appreciation for the same. I like the following one the most from all of them. So, the book is for the light reading experience. I will suggest you to start reading without any expectations from it and eventually it will bring some nice things to you which may make you nostalgic and emotional too. The glossy cover page of the paperback edition gives it a really rich look and the page quality is also good. The Kindle edition of the book is not well formatted. All the pages of the printed book are scanned as is there, and thus it doesn’t give you smooth experience while reading it on Kindle app (especially on a mobile device, where you frequently need to zoom in-out). Overall, a book is written with light heart, aimed for the people who are a fan of Whatsapp. And yet, it brings some really emotional and nice things too. You get to know about various countries and cultures while reading it. There are more positives than the letdowns.